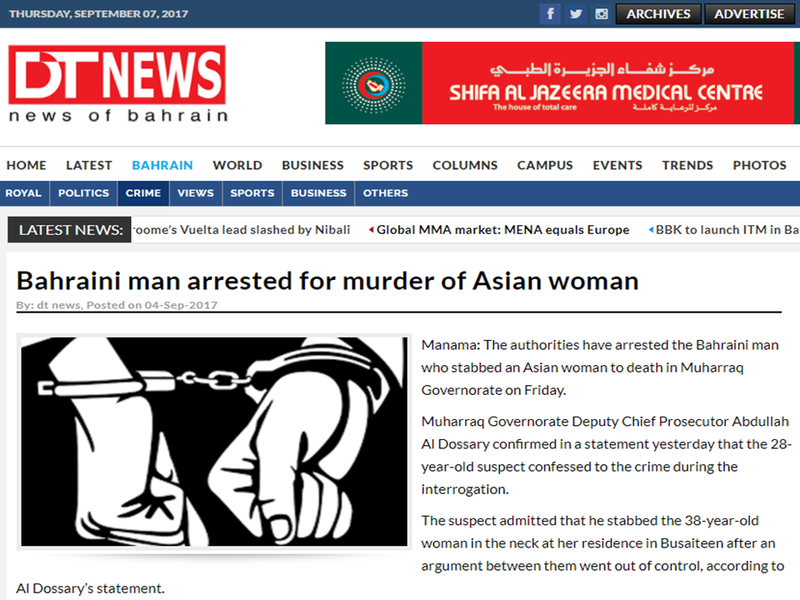 A Bahraini man who stabbed an Filipina woman to death in Muharraq Governorate was arrested by Bahrain authorities on Friday. Muharraq Governorate Deputy Chief Prosecutor Abdullah Al Dossary confirmed in a statement that the 28-year-old Bahraini suspect admitted the crime during the interrogation. 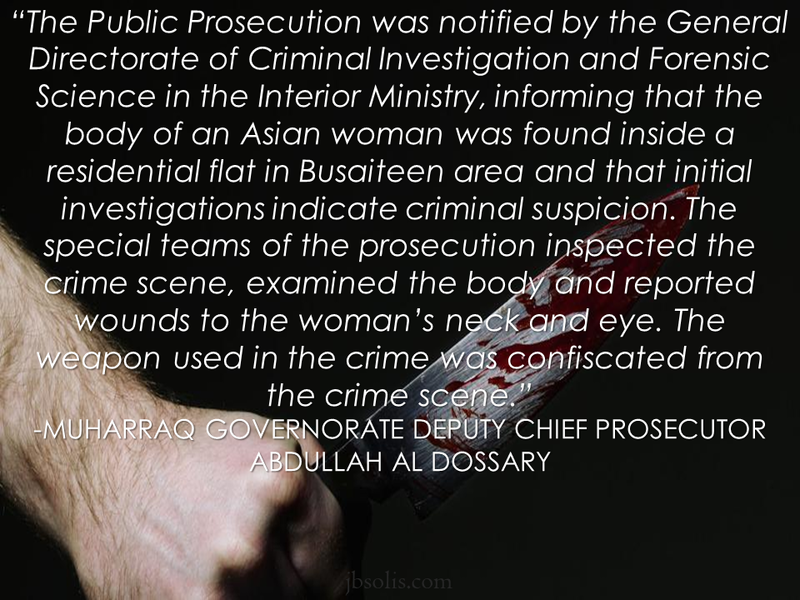 The suspect confessed that a heated argument between them went out of control and he stabbed the 38-year-old woman in the neck at her residence in Busaiteen which caused her death. The wounds in the killers right hand indicated the victims resistance, according to the prosecutors. “Intensified investigations launched by the police led to the identification and arrest of the suspect within 24 hours after the crime was reported. Investigations showed that the suspect has been repeatedly visiting the location lately,” Al Dossary said. Al Dossary added that a coroner was tasked to examine the suspect, who's identity was not disclosed, will remain in custody until the case is referred to the criminal court. The 38-year old Filipina victim was identified by the netizens based in Manama, Bahrain as Zairah Cañete, a private nurse, sustained stab wounds in the neck and in the eye. The argument was most probably rooted from jealousy although this angle is yet to be confirmed. Her social media post about 2 months ago seems a premonition of her death. In a photo, she has written a text saying: "Everyone who says hello will one day say goodbye.."